Does your child start school in September 2019? Come in and see our school in action! See the tour dates listed below. 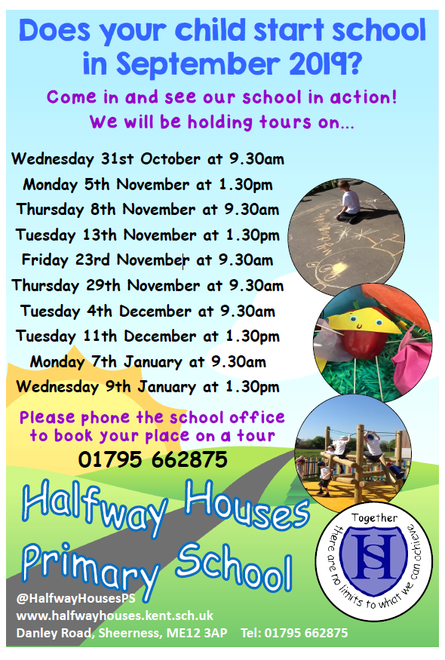 Please phone the school office to book your place on a tour 01795 662875.